Bharat-22 ETF lacks an investment strategy and is not an actively managed fund making a less then optimal investment option. 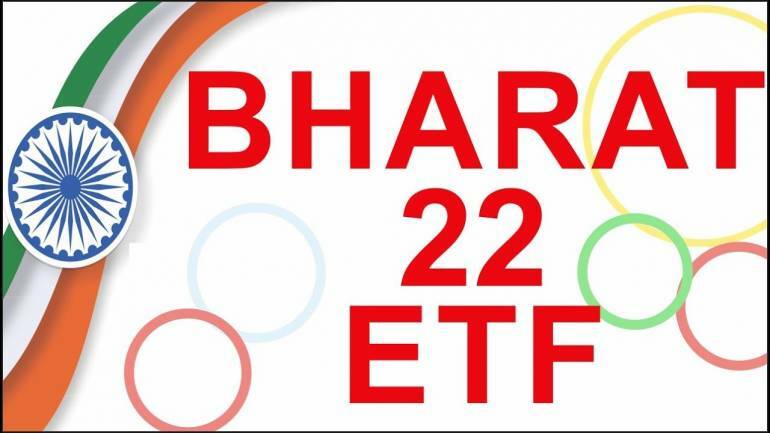 The second tranche of the Bharat-22 ETF Follow-on Fund Offer (FFO) was launched on June 19 for institutional investors, while for retail investors, the FFO would open for subscription on June 20. This exchange-traded fund (ETF) covers six sectors and consist of 22 blue chip stocks including public sector companies where the government has a minority stake. This ETF cannot invest more than 20 percent in a single sector and more than 15 percent in one particular stock. The top 10 holdings include L&T, ITC, SBI, AXIS bank, NTPC, Power Grid Corp of India, ONGC, Coal India, GAIL and NALCO. ICICI Prudential AMC is the ETF manager for Bharat 22 ETF Index. “Retail investors to get a 2.5% discount on the NAV, low expense ratio of just 1 basis point and high dividend yield of 2.6% in comparison to the Sensex stocks which stands at 1.14%,” said Rahul Agarwal, Director, Wealth Discovery. 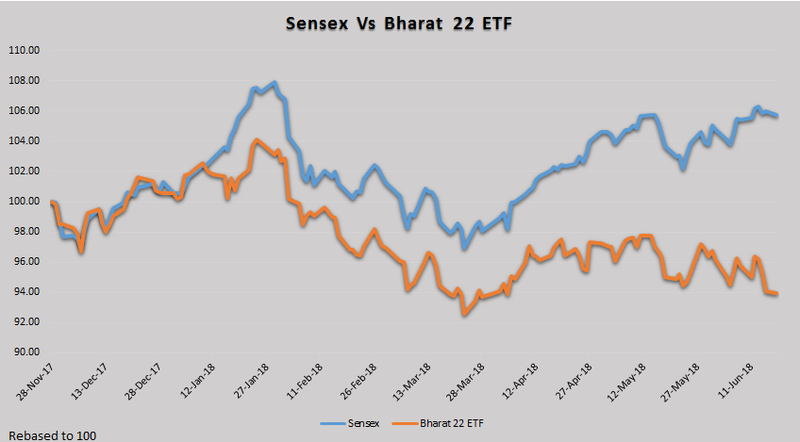 Moreover, the track record of the past seven months is less than stellar, the Bharat 22 ETF is trading at a loss of around 6.4% to its issue price and has been trailing the Sensex in terms of returns (see chart below). According to some financial advisors Moneycontrol spoke to, investors who are willing to take the risk in a diversified PSU portfolio of Bharat 22 ETF and can wait for a longer duration, this ETF may be a good choice. However, the minimum investment horizon should be three to five years. “In times like these with rising inflation, higher trade deficit and falling rupee we expect this ETF to continue its under-performance compare to SENSEX. Also, some of the big names in the ETF portfolio have been hit hard in recent times due to systemic failure in the banking sector and government policy deviations,” Agarwal said. The year 2018 is expected to be a sub-par year in terms of equity market returns in general therefore underperformance of Bharat 22 ETF is expected by experts. Despite receiving the highest subscription for a new fund offer in the history of the country's mutual fund industry, the Bharat 22 ETF has seen its assets under management (AUM) drop by over Rs 3,000 crore in just one month. Kachroo pointed out, “The reason why AUM declined of this ETF is probably because large corporates and retail investors who were short term investors redeemed the investments post listing. Since, there was a discount of 3% to issue price the investors with a short sighted mentality redeemed after the listing at the market rate. For some investors it’s a short term money making strategy.” With a discount of 2.5% on the NAV in this issue, expect some sell-off in the short term. Should you invest in Follow-on Fund Offer of Bharat-22 ETF?